Following its establishment in March 2017, the foundation established a key partnership with the Department of Local Government, Sport & Cultural Industries, Sandfire Resources, and Westgold Mining to launch program activities. In early 2018 the foundation appointed Paul Mugambwa as its new General Manager, Julie Jackson as Business Development Officer and Darryl Sinclair as Umpire Academy Manager. 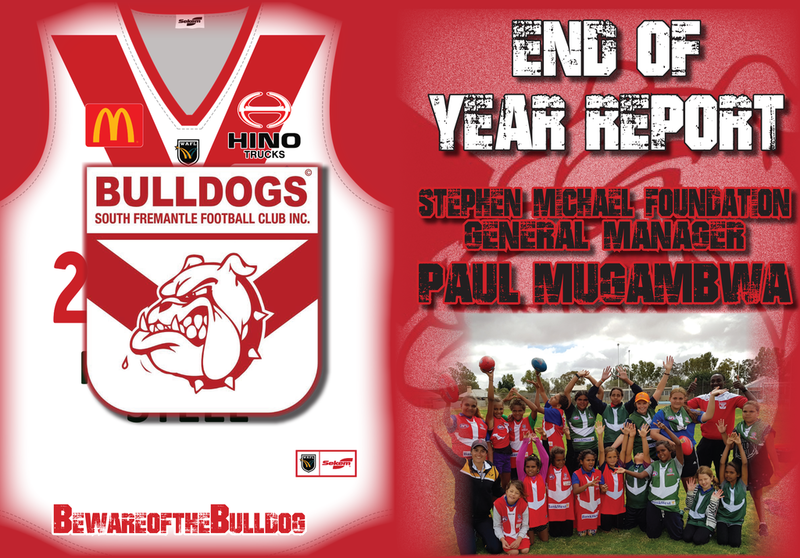 Paul Mugambwa had spent the past seven years working at the WA Football Commission as Community Engagement Manager and was recently inducted as a South Fremantle Life Member. Julie comes from over 10 years working at the Department of Sport & Recreation as a policy advisor and Darryl boasts more than 40 years’ experience working in umpiring. In September 2018 the foundation was officially granted Deductible Gift Recipient (DGR) status and is officially recognised as a Public Benevolent Institution. This is a significant achievement which took over 12 months to secure. Following a series of workshops with Board Members and Staff, the Foundation has also developed a new strategic plan. This is another significant milestone for the foundation which will drive its direction for the next three years. The Foundation’s Board has also developed four sub-committees who will be responsible for driving the aspirations for the new strategic plan. Since the foundations initiation in 2017, Fremantle College and the town of Meekatharra have been key partners and focal points for program development and delivery. In 2018 these partnerships have strengthened with the foundation now fully immersed on a weekly basis at Fremantle College and Meekatharra District High School. The foundation has also coordinated some amazing opportunities for participants at both schools which have been attached to school attendance and behaviour criteria. In May the Foundation brought 20 students from Meekatharra High School down to Perth on a special camp that included camping out at South Fremantle Football Club, a site visit at the new Fremantle Dockers training facility and a once in a lifetime opportunity to play on the new Optus Stadium in front of 60,000 people. In November the foundation took 20 students from Fremantle College up to Meekatharra for a cultural exchange camp which included a visit to a local Aboriginal community and participation in a football carnival with youth from Meekatharra. The cultural exchange camp also included students involved in the Foundations programs in Narrogin and Kojonup. 2018 has also seen the Foundation expand its reach by delivering school-based programs at Kojonup District High School, Narrogin Senior High School, Safety Bay High School, Lakelands Senior High School and Warnbro Senior High School. The Foundation has also piloted events targeting youth aged 8-17 in Carnarvon, Exmouth and Mount Magnet. During the 2018 NAIDOC Week, the Foundation partnered with Noongar Wellbeing & Sport to deliver a special Aboriginal Traditional Games program to over 300 students across four primary schools. Through the appointment of Darryl Sinclair as Umpire Academy Manager, the foundation has developed and implemented an innovative umpire program. The Foundation regards umpiring as a genuine opportunity for youth to earn an income, develop self-confidence, improve communication skills, stay fit and meet new friends. In just over six months, Darryl has delivered the new program to more than 600 participants across metro and regional WA. 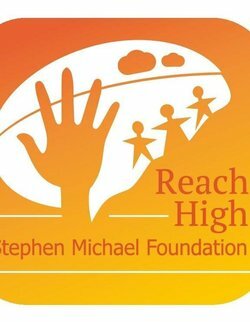 On the 10th of November the Foundation hosted the inaugural Stephen Michael Foundation Gala Dinner to celebrate the achievements made in just a short period of time, whilst also encouraging some much-needed fundraising to support the growth of the foundation. The special evening was attended by close to 200 people and featured guest speakers, live entertainment and a live auction of some amazing items. The foundation would like to acknowledge Sandfire Resources as the major sponsor of the event and thank everyone who came along and help make it a special night. 2019 promises to be another big year for the Foundation which will include the extension of pilot programs to become fully integrated in targeted schools. The Foundation will also enhance the development of a school-to-work program which will support the development of youth in targeted regions to secure casual and part-time employment while also supporting education attainment. Lastly, the foundation will look to increase its partnerships with local communities, government agencies, local service providers and the private sector to support the development and delivery of the foundations’ programs. Have a great Christmas and all the best for 2019.